How do I add users to a course via CSV? You can use a CSV file to add users to a course. Note: Some features may be restricted based on permissions for your user role. In the Global Navigation menu, click the Application Switcher icon . Then, click the Author menu option . On the Courses page, click the name of a course. On the course details page, click the Learners tab. Click the Add via CSV link. 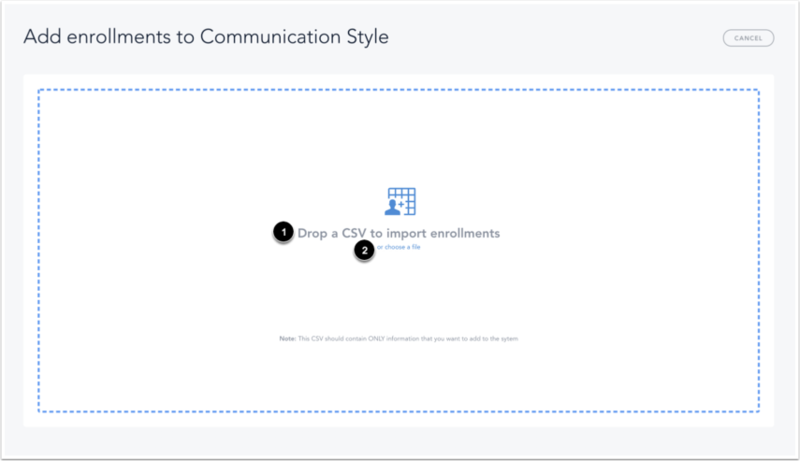 To add enrollments, drag and drop the CSV file onto the page . To select a file from your computer, click the choose a file link . If your CSV file contains column headers , click the This file has column headers checkbox . When this option is selected, Bridge will ignore the first line of the file when the CSV is processed. Note: The CSV import page will only allow you to preview 5 rows of data. Drag the Login ID key  to the column containing the unique identifier (UID) . The UID could be a name, employee ID, or email address. A unique identifier defines all the account information per Bridge Learner. Match the Bridge format boxes with the columns in your CSV file. Drag and drop the appropriate format to each box. When you are finished formatting your CSV file, click the Finish button. Bridge will confirm your CSV import and display the status of your report. If there are any errors with your import, you will receive an email notification. To return to the course details page, click the Confirm button. Previous Topic:How do I duplicate a course? 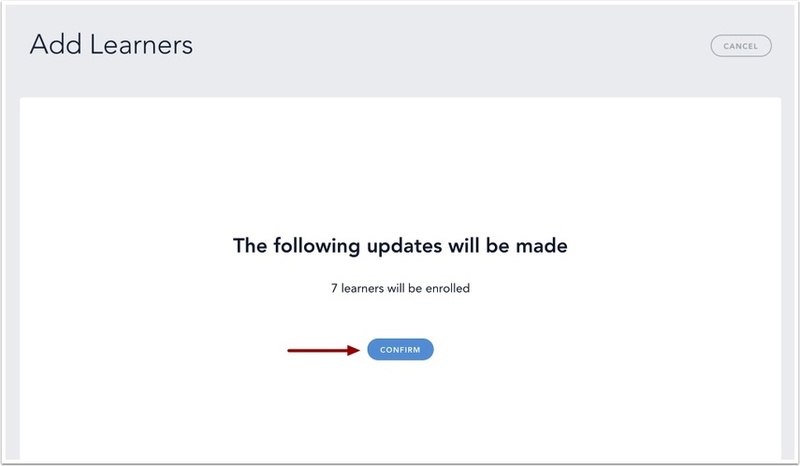 Next Topic:How do I export learners from the Courses page? Table of Contents > Manage Courses > How do I add users to a course via CSV? How do I export learners from the Courses page? How do I duplicate a course?